Parking options include on the main street, Vine Parking lot behind patio, public lots across the street and behind the restaurant, a parking lot just north of the restaurant. 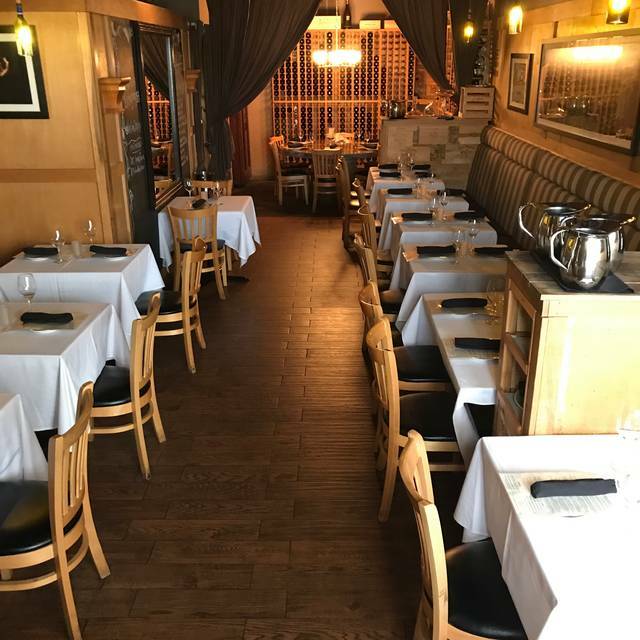 Welcome to Vine Restaurant and Bar located in San Clemente. Our menu features seasonal ingredients of the highest quality and are prepared daily from scratch. Menu selections include exceptional meats, flavorful seafood, handpicked produce from our garden, and diverse beverage selections. 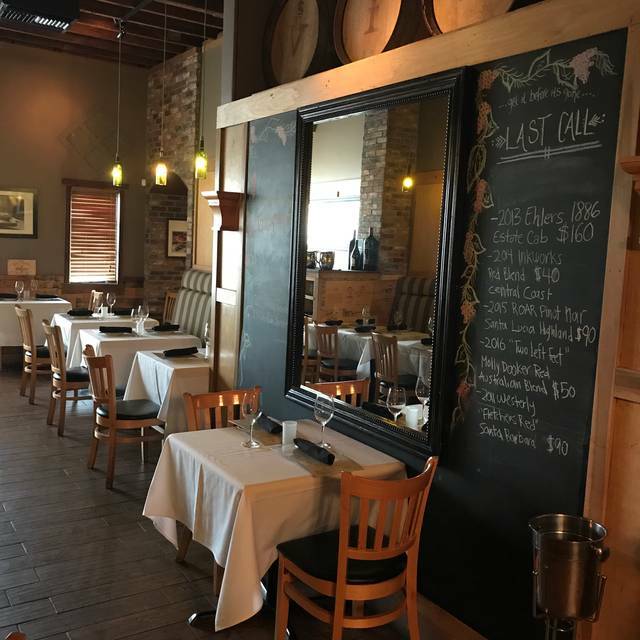 We have over 25 wines by the glass, 10 craft beers, and a full bar featuring a wide variety of craft cocktails. We have always loved The Vine. Great food and wonderful service. Thanks! Celebrated boy friend’s birthday day. Waitress was so sweet and gave great recommendations. I really enjoyed the Basil and vodka drink and Branzino. Bf had ribeye it was charred as he requested, he loved it. 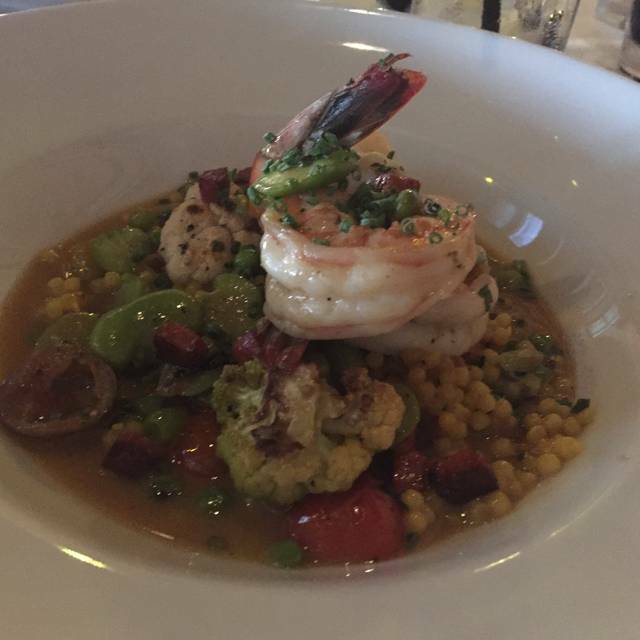 Waitress was very knowledgeable about the menu, very good service, food was delicious! Great food and service couldn’t be better. The Mac and cheese appetizer was awesome. The duck wings were more like tough fried chicken drumsticks with spicy orange sauce and were underwhelming. The blood orange cocktail was awful. They do a great steak though and the service was outstanding. Excellent food. Great choices. Service was very good. Everyone was so attentive. A total enjoyment from start to finish. 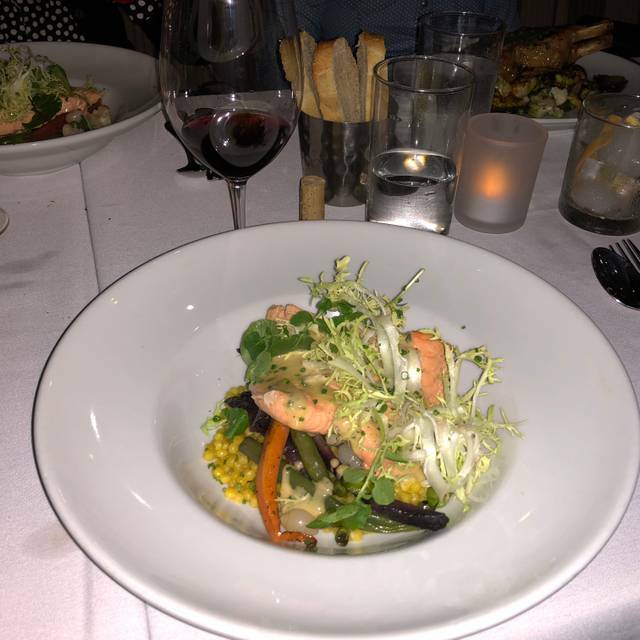 The wine and food were excellent and service was friendly and fast. Staff really made us feel welcome and special. A 100% recommendation anytime you are in the area. Best restaurant in San Clemente! wonderful spot for dinner. One suggestion: my companion ordered the chilean sea bass. The fish itself was wonderful quality; however, the fish and the vegetables were smothered in a some type of green sauce. The sauce was okay, it was just that there was so much of it, it ruined the dish. Lighten up on the sauce please! Our food and our server Barbara were both excellent! The noise level was a bit loud for ease of conversation, but it was a Saturday night and the restaurant was packed. The one negative is the parking, which was difficult. We had to park blocks away in a public lot as street parking was impossible and the building-adjacent lot had only a few spots that all were taken. Again, a Saturday night experience. I’d go again, but try for a weeknight which might be easier. Everything was wonderful from the staff, to the food, and craft cocktails! We will definitely return. Maybe our favorite restaurant in the area. Food is excellent. Very good wine selection. Ono special spectacular as is everything on the menu. Great service and ambiance. Can get somewhat noisy but not prohibitively so. Very popular. Good place for foodies or to celebrate. Very poor quality food, I had the chicken dish, a fine restuarant would never pound the chicken breast to a thin patty, bread it then fry it, the spitazle had no flavor but the veggies were decent. They were out of the wine and it took them way to long to tell so the timing was way off for appetizers,wine and dinner. Overall a very poor dinner not sure were the 4 and 5 ratings come from. Food was very good, service was good, excellent desert. After receiving recommendations from several people about this restaurant we visited the same. The food and service were outstanding. The menu offerings were amazing. Great chef. Once again The Vine was excellent. 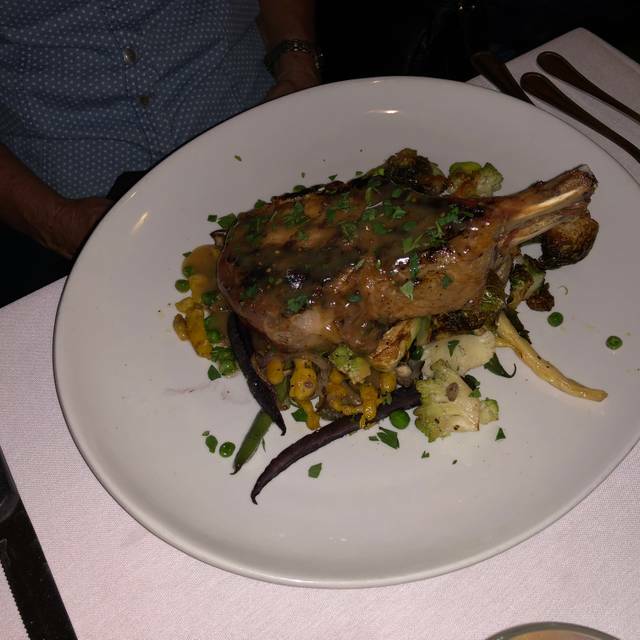 The quiet calm ambiance with a knowledgeable attentive server made for a very enjoyable dining experience. I really liked the crab meat and beet salad with generous lumps of fresh crab, beets, and a nice dressing. I again had to have the chicken schnitzel which is a large pounded out chicken breast that is crispy and tender and accompanied by root vegetables. My wife again had the sea bass. Sea Bass was incredibly delicate. I wish I could cook like this! Very friendly. Prompt service. Good food. Seated on time. We've gone to Vine for years but on last 2 visits the food quality was mediocre, particularly a tough and flavorless hangar steak. Service and atomosphere remain very nice. Good wine list and excellent desserts. Vine is too expensive to tolerate mediocre entrees. Always a wonderful experience at the Vine! Fantastic cocktails and dinner! Loved everything always do best restaurant in the area by far. Menu great! Food fantastic, help wonderful!! The food was excellent. I had the lamb loin, which was roasted for 3 hours but was so tender and tasty it seemed as if it was roasted for 3 days. Great service also. Overall good. Food is always good, well made. Fries this time were greasy like the oil wasn’t hot. Burger good, perfectly cooked. Service good, always friendly. Just a nice, high quality experience. Will go back again. The carrot soup was amazing. The schnitzel is always a hit. 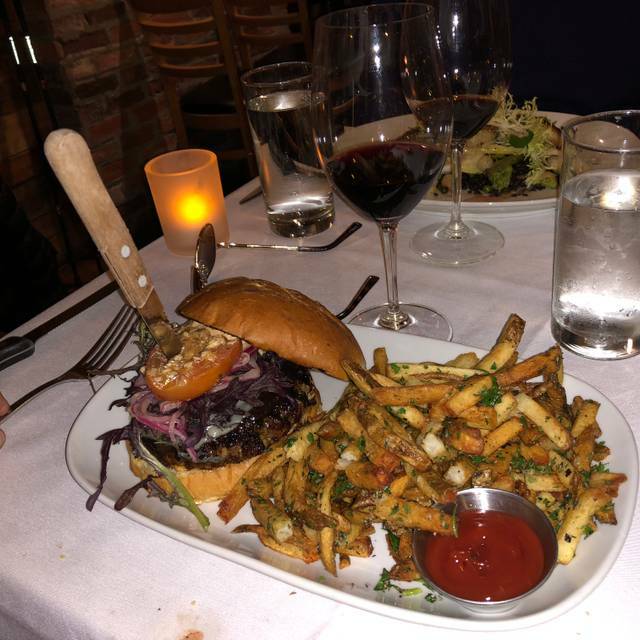 My wife loved the Kobi burger. Fun signature cocktails. When the weather is nice you can sit outside. What's not to love? Great experience! The staff was all very helpful, efficient and upbeat! The food was all absolutely delicious. There was a delay in getting our entrees; the server immediately notified the manager who quickly addressed the matter and offered sincere apologies and comp’d our entrees for the delay. Very pleased! Best restaurant meal we’ve had in ages. Very comfortable seating in dining room. 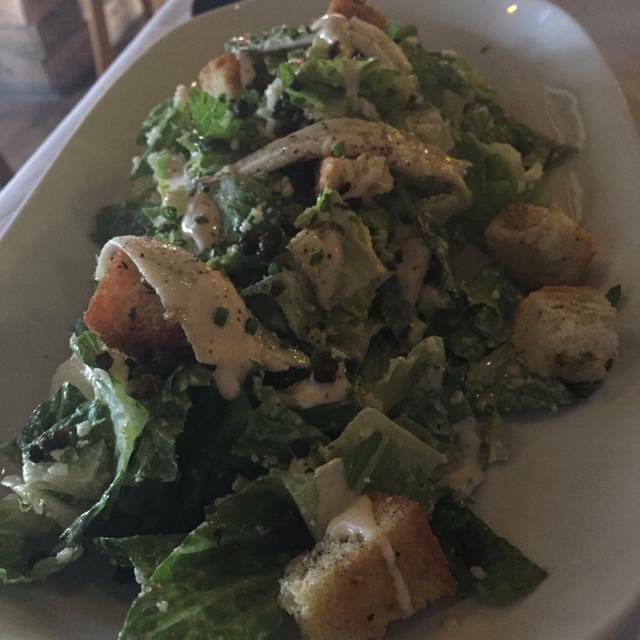 I had sea bass and Caesar salad. Superb! Service excellent. Maybe a tad pricey, but worth every penny. Generous portions. 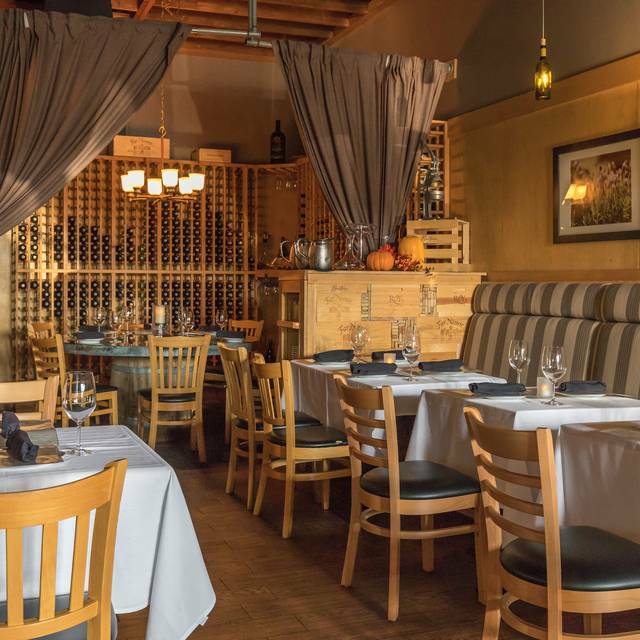 Vine has above-average food and outdoor seating in an area with 4 tables. So there is a way to dine with a few friends and expect to be able to hear the conversation. Unless it is Saturday evening. The outdoor seating was dominated by drunken, braying donkeys. So I'm not sure if the food on my plate was substandard, of if I was just wishing I had not imposed this unpleasant scene on my dinner companions. Anyway . . . the fish seemed overcooked, the waitress was disappointed that we did not order drinks, and we couldn't hear a darn thing. 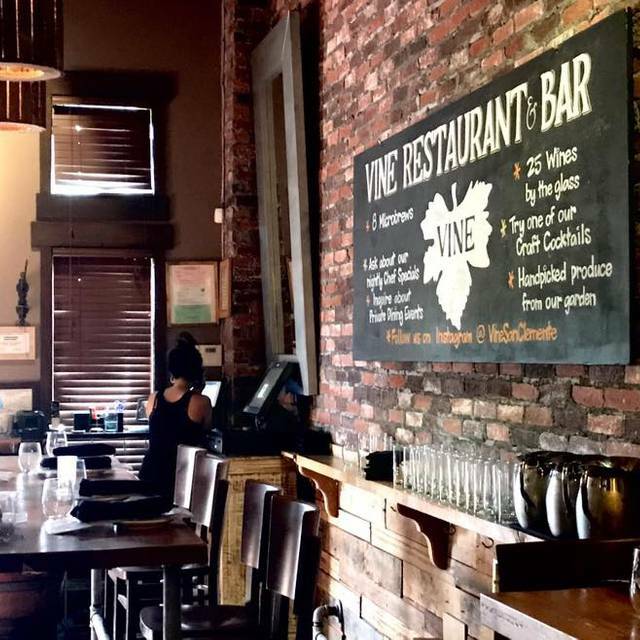 You can never go wrong dining at The Vine. Food and service are always AMAZING! We sat at a two top in the bar area! Love everything about this place! Love the food, the vibe, and the staff. Kyle, the manager, was awesome! Thanks for a making this a great evening! We will be back! We've had better experiences at Vine. Had reservations but had to wait. Food was not as good as usual. Very busy and noisy. What I can say about vine is the food, spirits, ambience and the staff as 100% perfect! I love this place and they recommend it to everyone and anyone I know or meet. It is always a great evening when spent at the vine. We have always have great food, great service. The staff is exceptional there!